Father to daughter and mother to son, that's the way heredity runs! 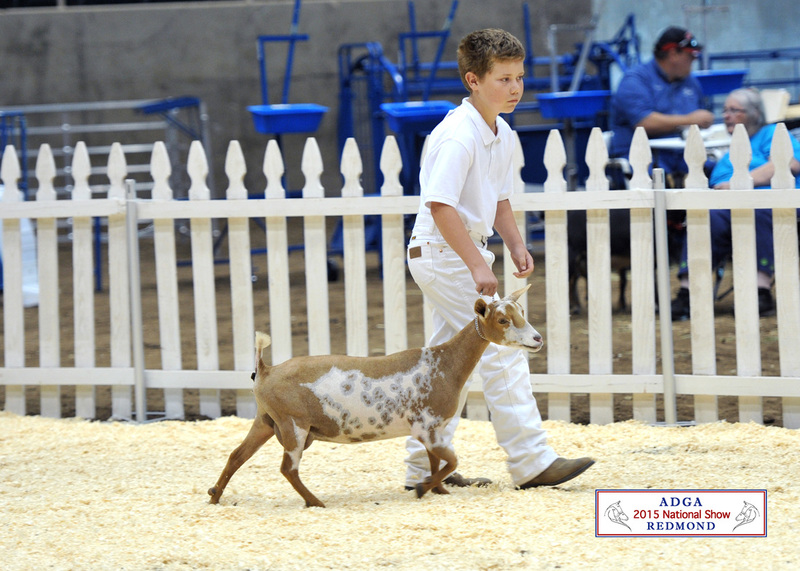 ***Does can receive a $50 discount to a 4H or FFA home that registers the goat in the child's name. Wethers are $50 to $75 depending on blue eyes and chrome. 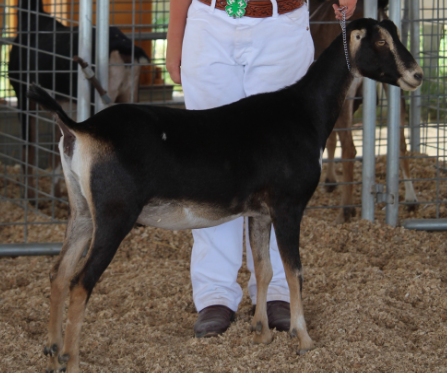 Bucklings are at our discretion for availability and pricing will be determined at that time. We put much effort into obtaining show-quality foundation stock, selected on the basis of conformation and production. This being said breeding livestock is a combination of genetics, research/study, and just luck of what is produced in a given breeding. 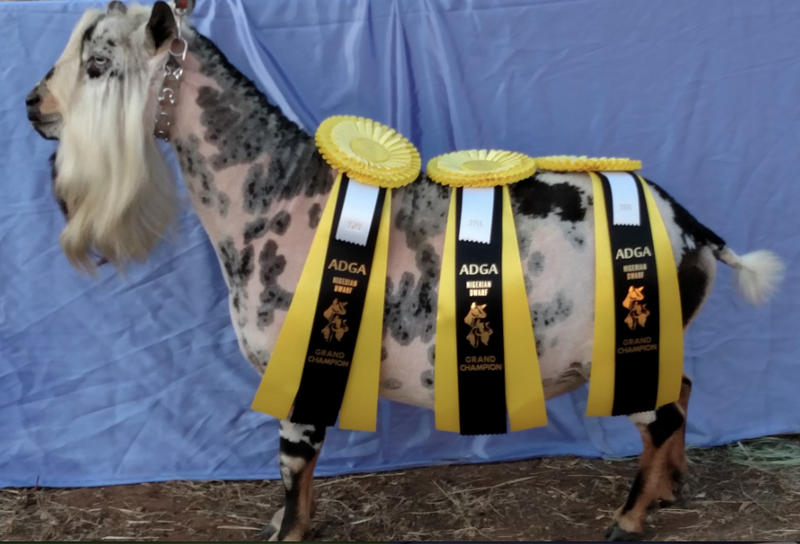 If any of this was predictable we would have a barn full of perfect show specimens but it is not, and that is part of the fun of breeding every year to see what kind of kids we are presented with. With this being said all goats/kids are sold as is, with no guarantees of future health, production, size, or show quality. 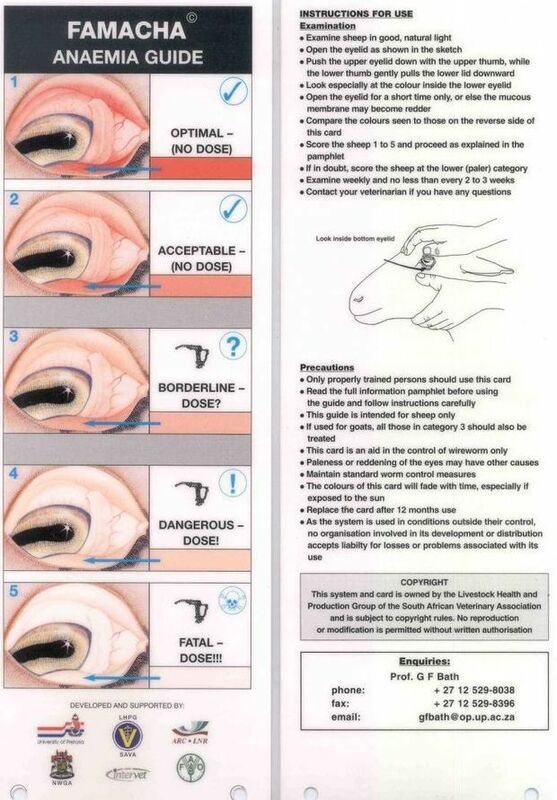 All kids will be disbudded at one week, have their CDT shots at 4 weeks, and 8 weeks unless they are PAID IN FULL, in advance, and requested not to be disbudded or vacinated or both. Goats are herd animals and should not live alone. 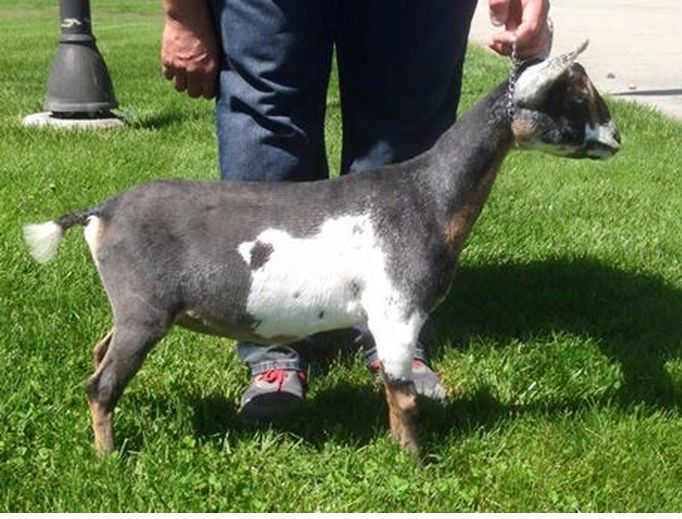 We will only sell a single goat to someone who already has goats. 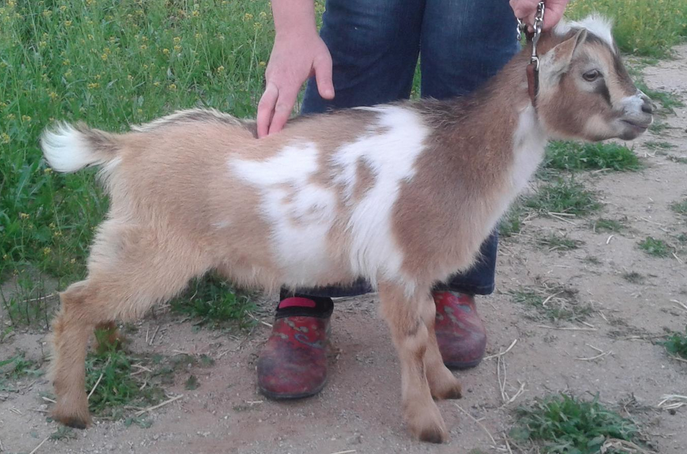 When buying a goat kid, you are agreeing to provide it with proper feed and shelter from the elements. If you are interested in a kid, please put a deposit on your first choice kid ASAP. If you place a deposit before kids are born, it is $50 to reserve first choice from a particular breeding. 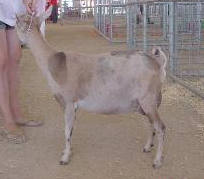 Once the kids are on the ground we will require 50% of the kid's purchase price to hold the kid until weaning date. No goat will leave this ranch unless it is paid in full. We only accept cash or bank check the day the kid leaves. If you want to pay with personal check you will need to send it ahead of time so it can clear prior to pickup date. If you fail to full-fill the 50% payment your deposit is forfeit unless previous arrangements have been made to pay additional board at $1.00/day. We normally dam raise kids but there are certain circumstances when bottle feeding will become necessary. If your kid becomes a bottle baby, it will need to be picked up by three weeks of age. If you do not pick up your bottle baby until weaning at 8 weeks, a daily boarding fee of $4.00 will apply to the kid's final balance, or you can choose to forfeit your right to that kid. We reserve the right to retain any kid born here, even if we have taken a deposit on it. If for any reason we are unable to sell you the kid that you put a deposit on, it will be refunded unless there is another kid available that you would like instead. If you change your mind for any reason and do not buy your kid, the deposit will not be refunded. We reserve the right to offer intact bucklings at buck price for a certain amount of time before offering them as wethers. Bucklings will only be offered if we feel they offer superior genetics to improve a herd, most bucklings will be wethered. Kids can be picked up at weaning or a predetermined date that is mutually agreeable to both parties. Bottle babies are available only from does producing triplets, so if this is what you want to experience please contact us personally. Cash, bank draft/money order, or personal checks that have cleared before the animal leaves the property, which may take up to a week after receipt. We register solely with ADGA and will only transfer papers within ADGA. All registered animals will be transferred into the new owner's name at our expense. The buyer may at their discretion enroll the animal in other registries after transfer. 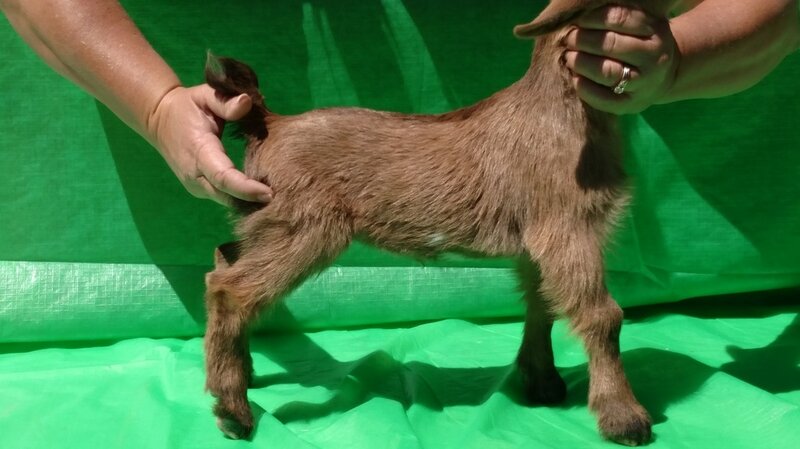 All goats will carry the registered herd name, "Cameroon" and in most cases we like to let the new owners choose the registered name. But we do reserve the right to choose the registered name of any kid born here. This may be due to duplicate name choices, need to follow a parent's theme, or other naming issues. 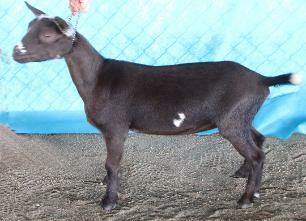 Naming goats is fun and if we can let the buyer have input, we will. 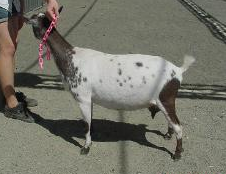 However, the buyer may not always have the option to offer input on a goat's name.